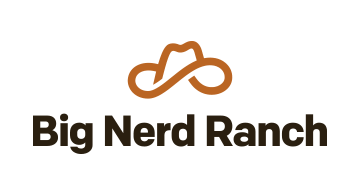 Big Nerd Ranch is a digital development firm based in Atlanta, GA with senior engineers who are also world-renowned authors, instructors, developers and designers. Since 2001, Big Nerd Ranch has been partnering with companies — from startups to Fortune 100s — to build brilliance through innovative digital product development and training that empowers individuals and organizations to dream big and achieve more. Big Nerd Ranch also aims to inspire other engineers and tech industry leaders to produce digital products that go from "visionary" to "market advantage." Big Nerd Ranch has one of the most exclusive, immersive developer and designer training programs in the world. To accommodate various training needs and learning styles, there are four different training options, including immersive offsite bootcamps, onsite team training, The Frontier online screencasts and the Big Nerd Ranch Guide collection. Using one or more of these options, 21 of the top 25 apps were built by engineers trained by Big Nerd Ranch.